Confused about the different types of sea eagle available? 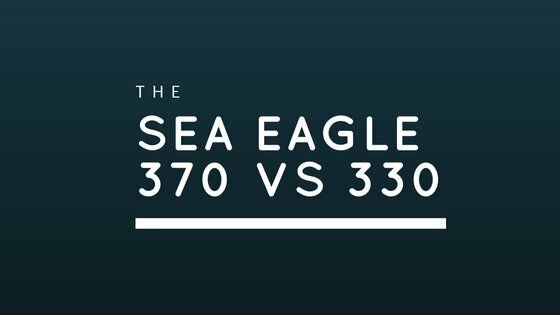 We look at the Sea Eagle 370 (K_P) versus the Sea Eagle 330 review. Inflatable kayaks are not just pool toys any more. Thanks to the recent developments in technology they have become a great alternative to hard shell kayaks. Of course, both types have their advantages and downsides, but if you do not have much storage space and do not want to spend too much, an inflatable is your best option. With an inflatable kayak you can do pretty much everything on water: from fishing and having fun with the family to conquering white water. Their performance is great and you will love the convenience of an inflatable. But there are so many kinds of inflatable kayaks on the market now that it is very hard to chose the best for you, especially when you are new to the paddling world. So, let me try and help you with your search. Let's say, you have already decided in favor of an inflatable kayak instead of hard shell. Portability and storage are important after all. So, which one to chose? Solo or tandem? Or both? Paddling on your own is great, particularly if you like to control everything. Paddling with someone else doubles the fun. But what is even better, you can afford both for the price of a hard shell yak! Calm lakes or white water rivers? Different models of inflatable kayaks are made for different kinds of waters. Consider this. How much space do you need? 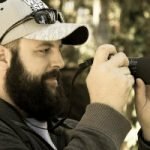 When deciding on this one consider your size, gear and other supplies. How heavy can you manage? 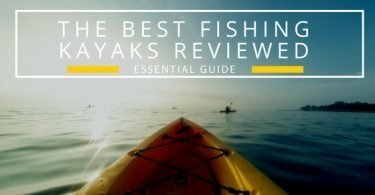 The weight on the kayak is important as you will have to carry it to the water and back or even go hiking with it, who knows? Now you know what criteria are important for inflatables. Let's see how the Sea Eagle 370 and Sea Eagle 330 stack up. nterior: 9' 6" x 1' 1"
With both of the Sea Eagles you can change the place of the seats depending on how many people are paddling. So, you can paddle alone as well as in tandem. Basically the 330 model is smaller and lighter. So, if you are going to paddle alone and don't need much gear, this is your choice. Though it fits two medium size people quite well. It is also easier to carry. The 370 model is better for tandem kayaking if you both want ample leg room. One more thing, the 370 has tougher material, so if you are afraid of sharp rocks, this one is probably better. Both kayaks are solid and well-made boats. The material is good, you’ll be hard pressed to scratch or puncture them. They are quite easy and fast to set up with the enclosed foot pump. It took us slightly longer than the declared 8 and 6 minutes to inflate, especially the first couple of times while we got the hang of things. But the process is in fact very simple and it is quick. On the water the kayaks are super stable. I could not tip it no matter how hard I tried. If you are not a strong swimmer then you’ll feel very comfortable. There’s a drain plug at the stern and a tow point on the bow which came in handy - we really like that and it really shows that the boats are pretty well thought out. Probably, the biggest let down on these kayaks are the seats. 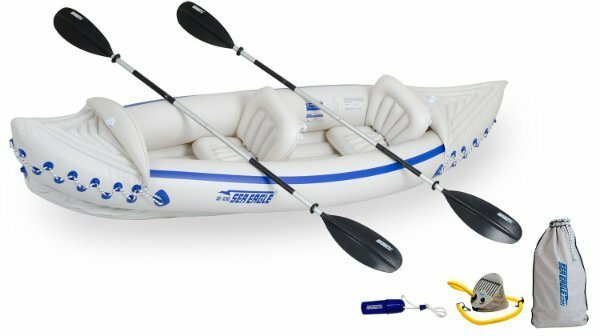 They are inflatable and do not provide the support like the hard-plastic seats of fiberglass kayaks. However, this is true only about the deluxe package seats. Pro seats are comfortable enough. The carry bag has only one strap, so you cannot use both shoulders. It is annoying and uncomfortable if you have to carry the kayaks for some time. Particularly, the 370 model because it is heavier. The speed is good enough, but you won't win any races, that's for sure. 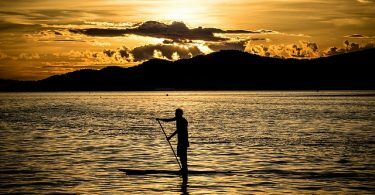 Currents and wind can create some problems, but it can't be called a major drawback as it seems to be the characteristics of all inflatable kayaks. They are perfect for lakes. White water might be a little too much for these models, though. Overall Sea Eagle 370 and Sea Eagle 330 are very good products that perform well if you recognize their limitations. If you want to get out on the water and have a little fun, this is the best and the least expensive way. The price is pretty much the same for both models, so you should base your choice on whether you prefer a roomier ride of the 370 or happy for the lighter more compact 330.